Ashurst has lost two senior partners in London. 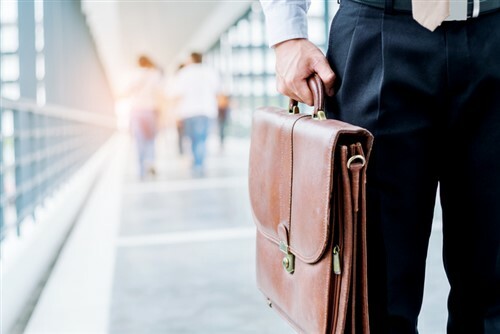 Simon Beddow, former managing partner of Ashurst’s office in the UK capital has joined Bryan Cave Leighton Paisner in a global role. He is the new corporate deputy departmental managing partner working closely with departmental managing partner Peter Van Cleve in overseeing a corporate team of more than 450 lawyers, including over 160 partners, across BCLP’s offices in the US, Europe, Middle East and Asia. Beddow’s three year term leading the Ashurst office has recently ended and he has been succeeded by Ruth Harris. Beddow had been a partner at the firm for more than 20 years and held several leadership roles including global co-head of corporate. Meanwhile, Ashurst corporate partner Robert Ogilvy Watson is joining London-based Macfarlanes as a partner in its M&A practice. He specialises in advising corporate clients and financial institutions in relation to their M&A transactions. Two new corporate M&A partners are joining the growing energy and resources practice of Norton Rose Fulbright in Perth. Jessica Davies joins from Clifford Chance in the city but has worked across Australia as well as having international experience in Asia, the US, Europe, and Africa. She is admitted to practice in Australia and New York. Takeovers Panel in Melbourne and resources company South32 in Perth. He joins from King & Wood Mallesons. The new partners follow the addition last year of Paul Lingard who joined from Clifford Chance and is NRF’s co-head of the energy industry group for Asia-Pacific; and Miriam D’Souza who joined from Herbert Smith Freehills). California-headquartered firm Cooley has opened its 14th international office, its first in continental Europe. The first partner joining the new Brussels office is competition lawyer Alexander Israel who joins from German firm Noerr LLP where he helped set up its Brussels office. Cooley’s London-based EU competition law partner, Becket McGrath will be splitting his time between London and Brussels. Cooley’s Brussels launch comes two months before the planned split of the UK and EU, and CEO Joe Conroy says this new location will meet client requirements in this regard.